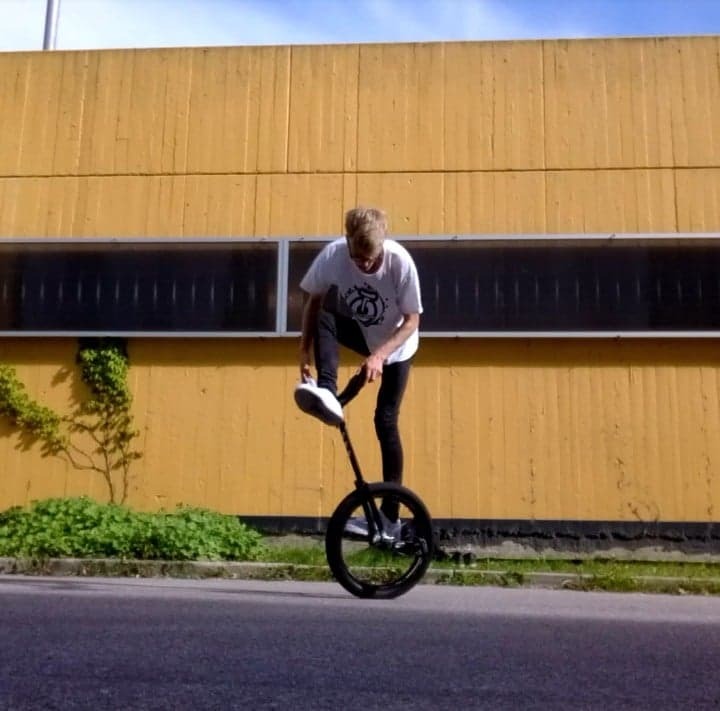 Ivar is addicted to exploring the art of unicycling. He is also X-Style World Champ!! His smooth riding style and combos are awesome. We are excited to welcome Ivar to Team Nimbus. 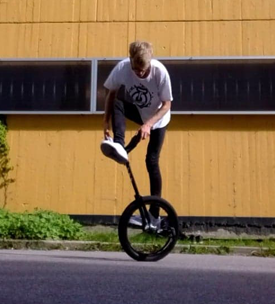 Freja is a very talented freestyle rider from Denmark. 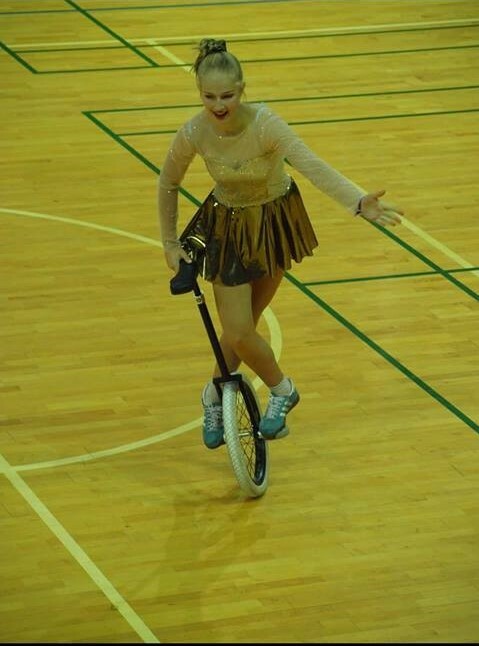 She is dedicated and hard working and an assest to the team! 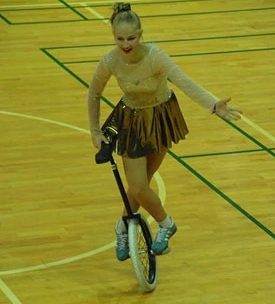 Souryan is our Mountain Unicycle expert. He is fast and technically brilliant. 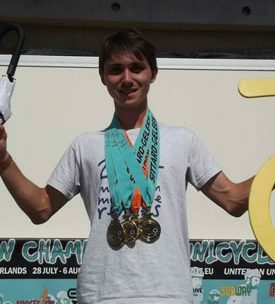 His impressive medal collection at Unicon speaks for its self! Kevin Carpenter is one of the leading golf trick shot performers in the country. 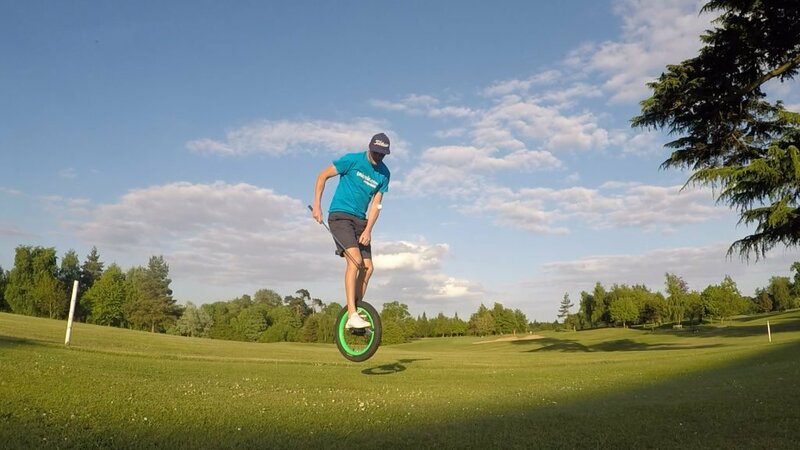 Kevin’s interactive golf show has amused thousands all over the world at European Tour events and is the ideal entertainment for golf days, bringing both fun and value to corporate and charity functions. 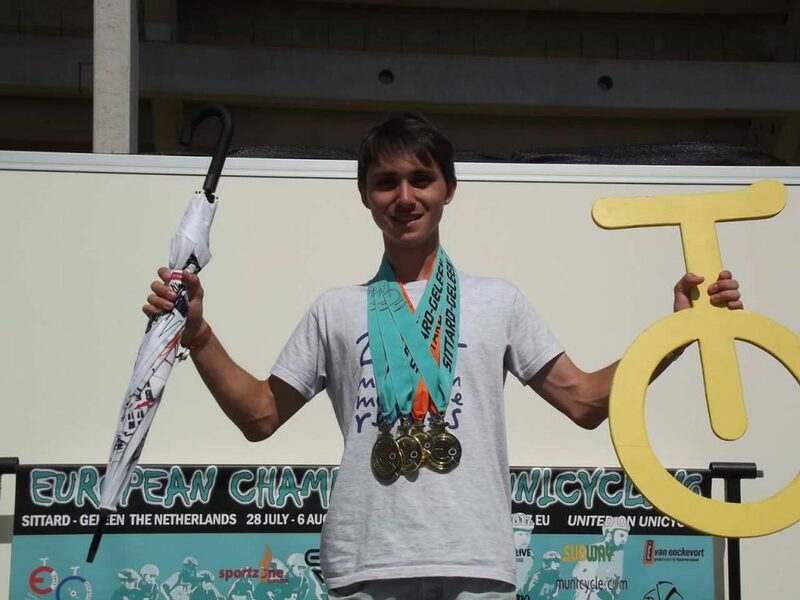 Kevin rides a Nimbus Envy Trials and a Nimbus Performer Giraffe. 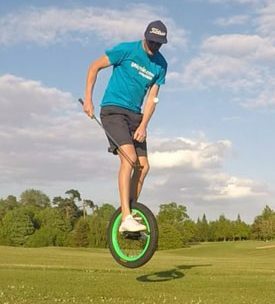 His skills on the unicycle while handling a golf club are incredible.